Vauxhall's Ellesmere Port builds the Astra Sports Tourer, the second-best selling compact wagon in Europe. Both Vauxhall and PSA cited declining sales in the compact segment as a reason for cutting 400 jobs at the UK factory that builds Astra cars. That would make sense if customers were turning away from the cars built in the plant at Ellesmere Port, northwest England -- but they're not. Seven out of 10 cars built there are Astra Sports Tourer wagons and sales of those grew 17 percent to 66,199 across Europe through August. The car was Europe's second-best selling compact wagon after the Skoda Octavia, figures from market analysts JATO Dynamics show. Overall the segment's volume gained 5 percent, against a fall of 4 percent for compact hatchbacks. So why the jobs cut? Vauxhall said the cars are too expensive to build, especially since the fall in the value of the pound after the UK's vote to leave the EU last year. Any benefit a weak pound has on prices has been removed by the plant's dependence on parts from Europe – only a quarter of parts are supplied locally. "We're bringing a lot of stuff in from Europe so parts prices are up, it's all headwind," a Vauxhall spokesman said. "We can't keep going on losing money, we're twice the cost of Sochaux." Sochaux in France is PSA's benchmark plant on productivity. The cost of production at Ellesmere Port will increase further if, as is increasingly likely, the UK leaves the EU and its customs union in 2019 without a free-trade deal. A reversion to World Trade Organization tariffs will mean tariffs of 2.5 percent to 4.5 percent on parts and a 10 percent levy on vehicles exported from Ellesmere Port to the EU. Currently eight out of 10 cars built at the plant are exported to European markets, Vauxhall said. 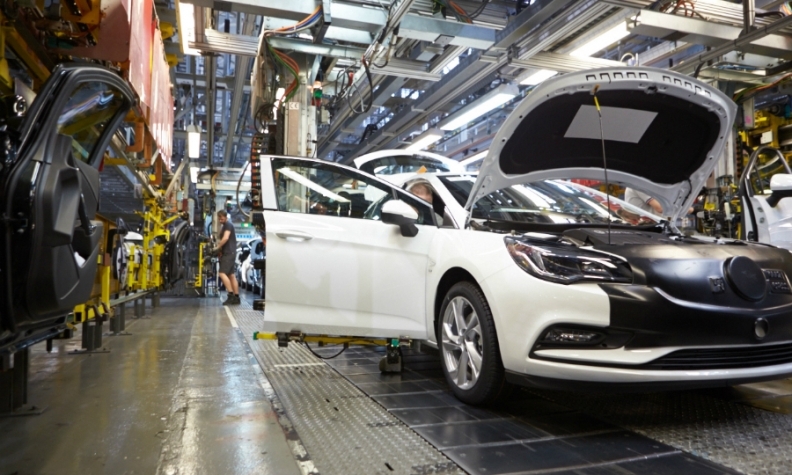 Vauxhall hopes the move to a single shift will bring Ellesmere's productivity closer to Sochaux, persuading PSA not to close the plant after the current Astra ends in 2021. "If we can make this plant financially viable, we might be building next-generation right-hand-drive Astras alongside Peugeots and Citroens as a hedge against Brexit rules," the spokesman said. But what about now? Ellesmere Port is currently running at two shifts making around 110,000 cars, around 70,000 of which will be Sport Tourers. Wouldn't cutting a shift mean cutting production below levels of demand? PSA believes not. "The level of production doesn’t depend on number of shifts – they're not directly linked," a PSA spokesman said. "Look at Sochaux or Rennes, we worked two lines then we moved to one line, but the factories are building the same level of cars." He argued that just because the plant will be running far below its capacity (around 180,000) that didn't mean it couldn't be profitable again. "There are many levers to improve competitiveness. Moving to a single shift is just one of those lever," he said. The spokesman added that PSA was planning other ways to cut costs at Ellesmere Port as part of a wider action plan for the plant, but wouldn't go into more detail.